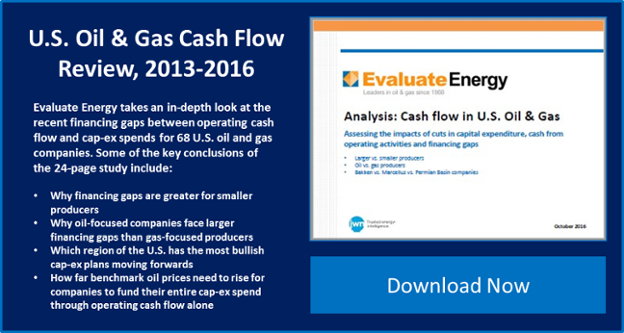 The amount of cash raised by 68 U.S. oil and gas companies via a net issuance in new shares soared to a three-year high of $19.4 billion in Q2 2016, according to Evaluate Energy’s new study focused on U.S. oil and gas company cash flow, which can be downloaded here. In response to changing attitudes to debt and fewer asset sales, companies have been more inclined to issue shares to source external cash in recent periods (see notes). This trend started in Q1 2015, as the commodity price downturn began to impact cash flow, and has become more pronounced ever since. Cash sourced via net share issuances made up 43% of all external cash raised in Q2 2016. This stands in stark contrast to periods before the downturn; in Q3 2014, only 16% of external cash raised came from net share issuances. This finding is among several key conclusions of the new study that unpacks the altered relationship between cash flow and capital expenditure in the U.S. oil and gas space. For more information on the study, click here. 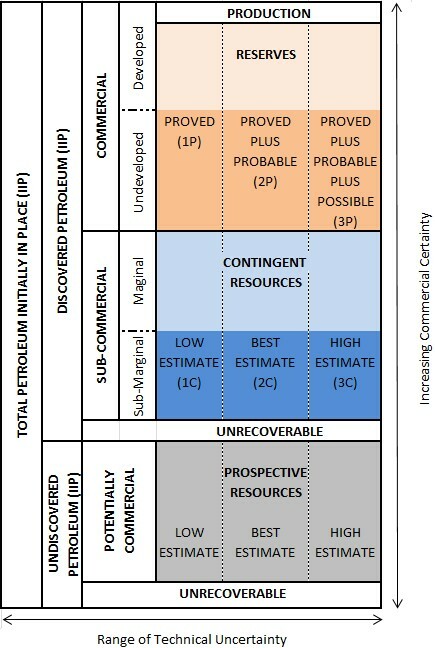 Of course, the value of the individual shares being sold will be much lower than in 2013 or 2014, but U.S. oil companies have clearly had success selling shares in recent periods, despite the challenging climate, perhaps looking to benefit from bargain hunting investors looking to enter the oil market at a low price. The movement towards share issuance in part reflects the oil price drop and a major reduction in the ability to secure debt financing, given continued market uncertainty. Since Q3 2014, the amount of cash raised by U.S. oil and gas companies via a net increase in debt dropped by almost two-thirds to US$14.2 billion. The study discovered that, in fact, the 68 U.S. companies raised the least amount of cash in Q2 2016 through net debt increases than in any other quarter over the entire three year period. Cash raised via net asset or business unit sales also dropped in 2016 compared to periods before the downturn. The 68 companies raised 69% less cash from net asset or business unit divestitures in Q2 2016 compared to Q3 2014, the final period before the price downturn began. This raising of external finance, and the movement towards issuing shares, has been necessary for U.S. oil and gas companies because their operating cash flow is not covering their capital expenditure needs. While this internal financing gap between operating cash flow and cap-ex was at its tightest in Q2 2016 compared to any other period over the last three years, external cash in some form was still required. Of course, cap-ex is not the only cash outflow that oil and gas companies have seen piling up in recent times. 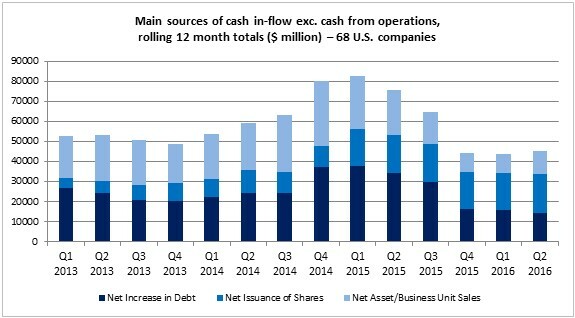 However, it is encouraging that the majority of the 68 companies, despite their varying financing gaps, were actually able to cover all cash outgoings in Q2 2016 with a combination of operating cash flow and external cash sources – and many of the companies have a successful share issuance to thank. External cash in this report and the Evaluate Energy study is all cash raised excluding operating cash flow. This includes net increases in debt, net issuances of shares and net sales of assets or business units. For all items above described as “net”, such as net increase in debt for example, the cash out-flows related to debt was subtracted from the cash in-flows related to debt in each period, and only the resultant positive net item was included as a cash in-flow. For net share issuances, the calculation was carried out by combining cash inflow from the sale of new stock and cash outflow from stock repurchases. For net sales of assets or business units, any cash inflow from the sales of assets or businesses was combined with cash outflows from asset or corporate acquisitions.